This year we were handpicked by Atlanta Homes & Lifestyles as one of twelve design firms to participate in the 2016 Serenbe Designer Showhouse! The transformation took place in the penthouse apartment of Serenbe's Textile Lofts, (located just outside Atlanta), where each firm was tasked with designing a unique space that fit the building's rich history and southern aesthetic. Our chosen space was a long and narrow hallway, which we turned into an inviting walk-through lined with modern representations of southern landscapes. 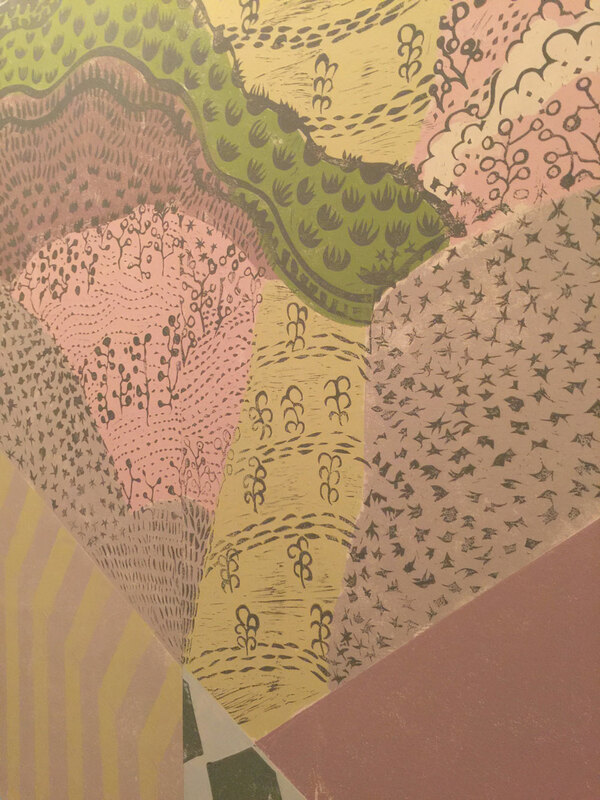 We collaborated with PaperMill to design this one-of-a-kind wallpaper.